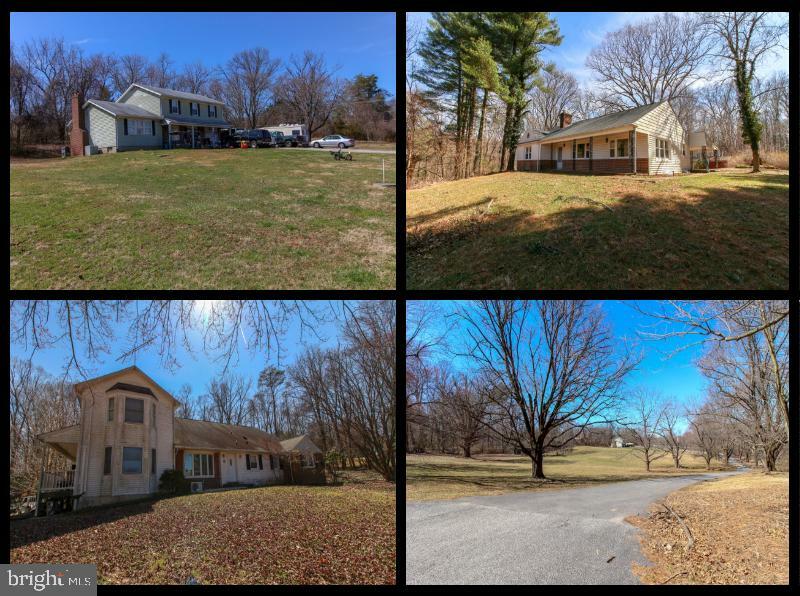 All Reisterstown homes currently listed for sale in Reisterstown as of 04/23/2019 are shown below. You can change the search criteria at any time by pressing the 'Change Search' button below. 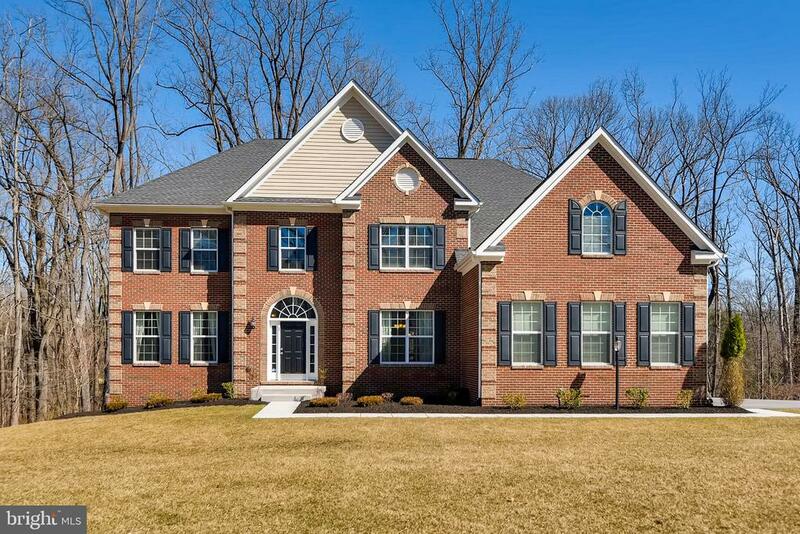 If you have any questions or you would like more information about any Reisterstown homes for sale or other Reisterstown real estate, please contact us and one of our knowledgeable Reisterstown REALTORS® would be pleased to assist you. 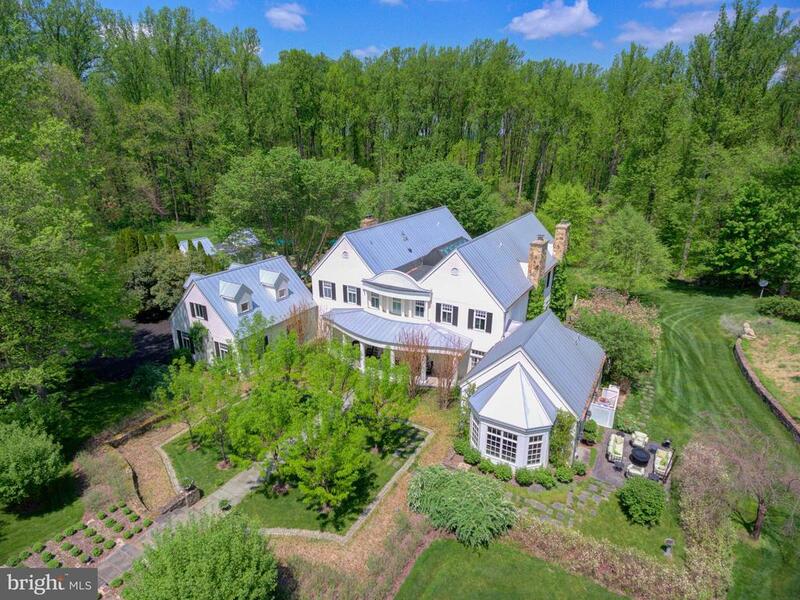 "Unparalleled Worthington Valley estate on 24.38 bucolic acres. Magnificent estate home with remarkable gathering & entertainment areas, chef's Kitchen & stunning main level Master Suite with 2 dressing room & 2 master baths. 5 additional large Bedroom suites, 2 complete with Kitchens & private entries. Attached sports complex with indoor Basketball Court, Gym, Locker Room, Batting Cage & Hydro Therapy/Shower Room. Pool complex with Spa & Pool House, landscaped grounds, 2 4-car Garages, regulation Baseball Diamond & Large Pond. State-of-art systems & security. Wrought iron gates lead to beautiful estate drive." "Custom Mediterranean style home situated on 70+ acres with exquisite detail and exceptional features, this architectural masterpiece is a rare find! French doors line the perimeter of the main level, allowing for boundless natural light throughout. True gourmet kitchen boasts exotic granite counters, oversized island, top of the line stainless steel appliances including dual dishwashers, cooktops, ovens and refrigerators from Bosch, GE Monogram and SubZero, stone wood burning fireplace, bar and butler's pantry! Incredible Great room featuring two-story ceiling with exposed wood beams, balconies with custom iron work and dual walk in fireplaces. Peaceful solarium adjacent to fabulous loggia overlooking salt water pool. Opulent main level Owner's suite highlighted by wood burning fireplace, three expansive walk in closets~one equipped with washer and dryer, and European spa inspired bath with dual walk in showers, separate vanities and water closets and relaxing jetted tub with garden views through French doors. Upper level hosts three luxurious private suites with attached baths and balconies. Fully finished lower level boasts exercise room and home theater! Two-story wine cellar, elevator, mud room with pet grooming shower, courtyard, three car garage and much, much more! Entertain on any level in this fantastic home!" "Once-in-a-lifetime property. You know you've arrived as you approach through manicured lawns and mature trees up the long, private drive to your new home, a family compound, that is an oasis of gracious living with enough space to accommodate your immediate and even your extended family. The three-level, ~14,000 SF main house offers high-end finishes, generous spaces, cozy nooks, butler's kitchen, expansive views, three fireplaces, theater-style media room, gym, and so much more. The three-car garage is topped by a cheery carriage house with sky lights. The hidden gem at the center of this ~65-acre property is the second residence, which opens onto a large entertaining deck with a pier leading into the filtered swimming pond, surrounded by an actual sandy beach. So much potential for family time and outdoor recreation: relax on the beach, practice on the diving platform, fish in two stocked and spring-fed ponds, and enjoy the horse trails with access to Liberty Reservoir. Additional buildings include a tenant house for your farm manager, a barn converted to guest apartments, a machine shop, an equipment garage, a multi-purpose building for parties, children's playhouse, fuel station, storage, and more. 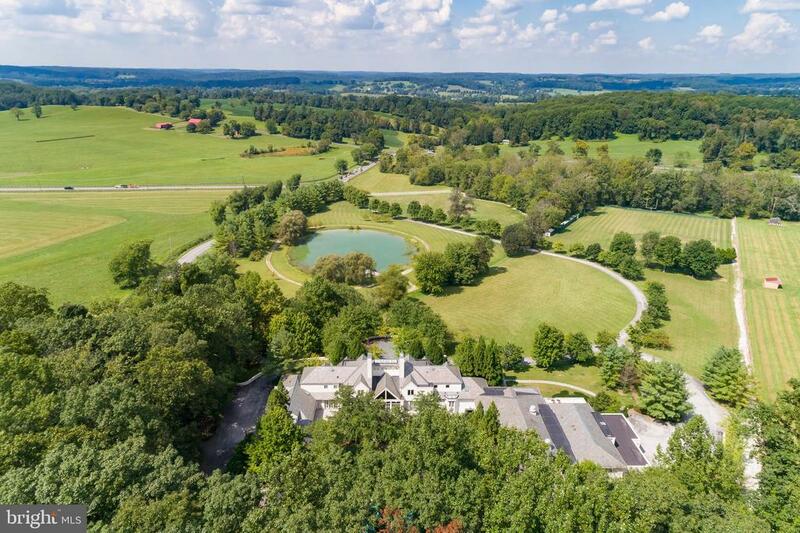 With over ~25,000 SF of living space and ~65 acres offering beautiful views, this unique family retreat has so much to offer." 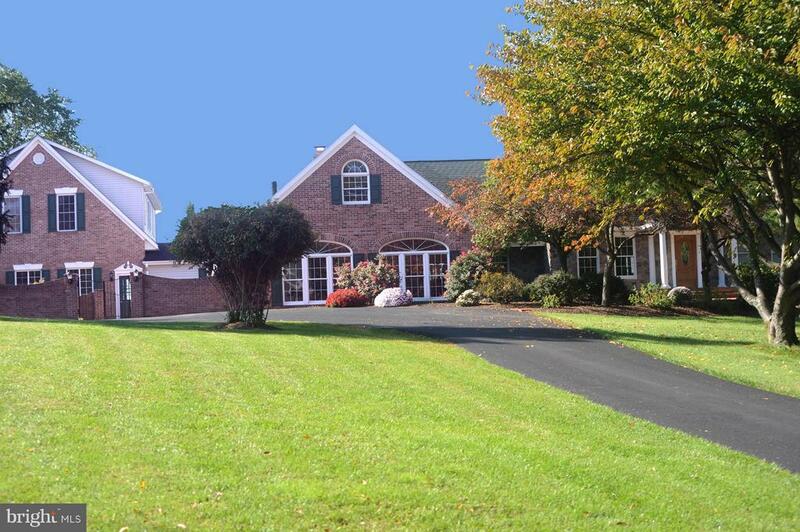 "Gracious property situated on 29+ acres in Worthington Valley. Distinctive architectural details-Chef's kitchen, custom cabinetry and extensive moldings throughout. Owners Suite offers two full baths, separate walk in closets and dressing areas. Elevator from mud room to master suite, however there is First Floor Master potential. Bluestone walkways and multiple patios surround home. Heated pool & cabana with full bathroom and changing area. Detached 5 car garage with 2 separate caretaker apartments allowing for potential family compound. Gated entrance leads to professionally landscaped gardens with irrigation system and ample parking for your guests. Private yet conveniently located to the Falls Rd Corridor and Hunt Valley." 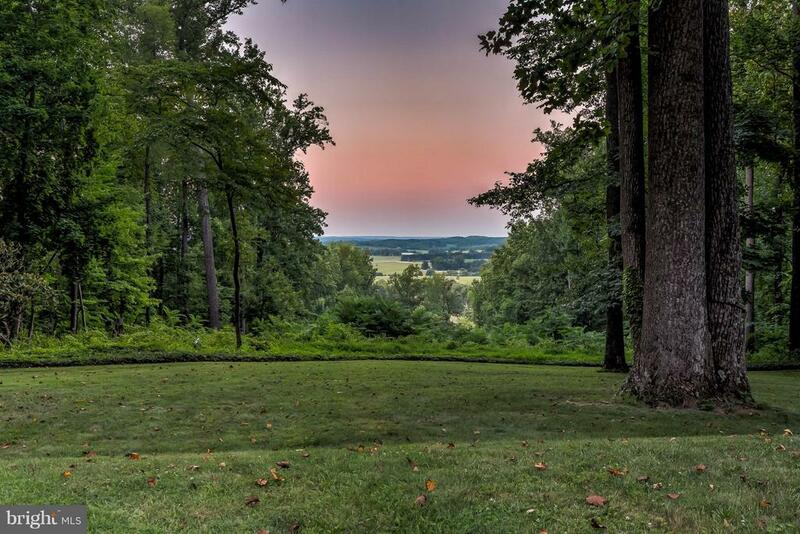 "52 acres of prime worthington valley land. commanding panoramic views of sagamore farms and beyond. 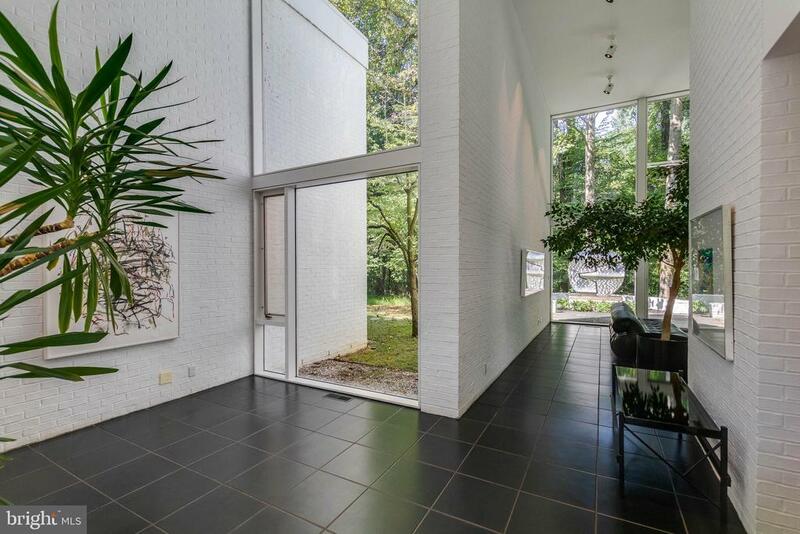 long private drive that meanders through woodland to elevated building. site. uber private hideaway that takes your breath away. hard to believe a property like this exists. pasture, barn, pool and occupied and attractive tenant house. by appointment only. intrinsic value in the land." "This place is so cool! 15.82 acres of open pasture and woods with 3 homes on 3 separate parcels and a feasibility study complete for 6 luxury home sites. Makes for an awesome family compound, religious center, or educational campus. 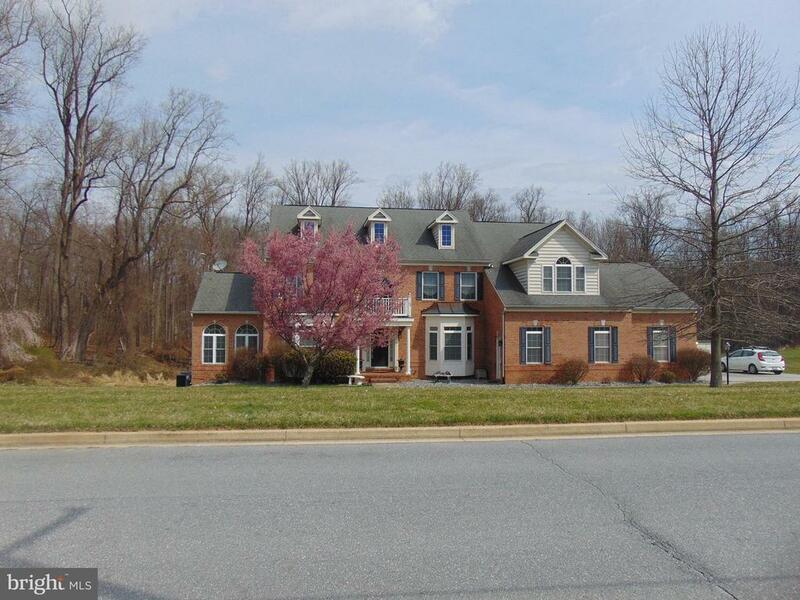 Excellent Location at corner of Church and Red Run in sought after REISTERSTOWN. Property is currently set up as a family compound with three single family detached dwelling units, all with their own well and septic. Other possibilities include: Farm, School,Church, Assisted Living, Garden Center/nursery, Mobile Homes, Daycare (Child and Adult), Riding Stables, Sports Facility, Medical Office, winery, Brewery, Etc. Zoned RC5-Rural Residential. All use and occupancy must be verified by buyer." 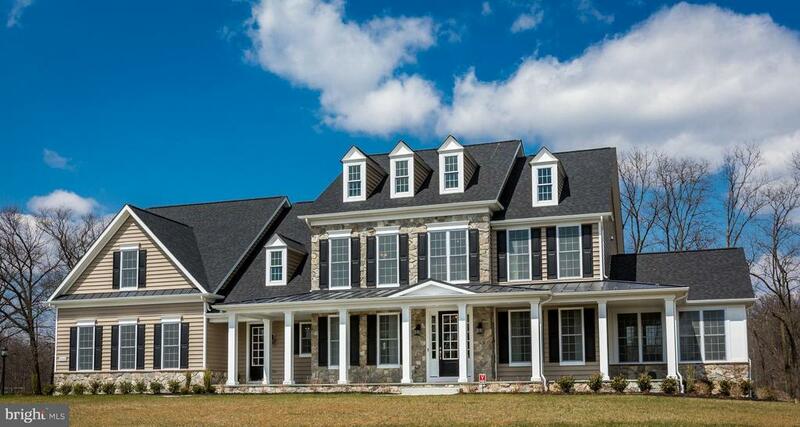 "Catonsville Homes presents the Award Winning Kensington Manor Model Home, located in Deer Meadow. 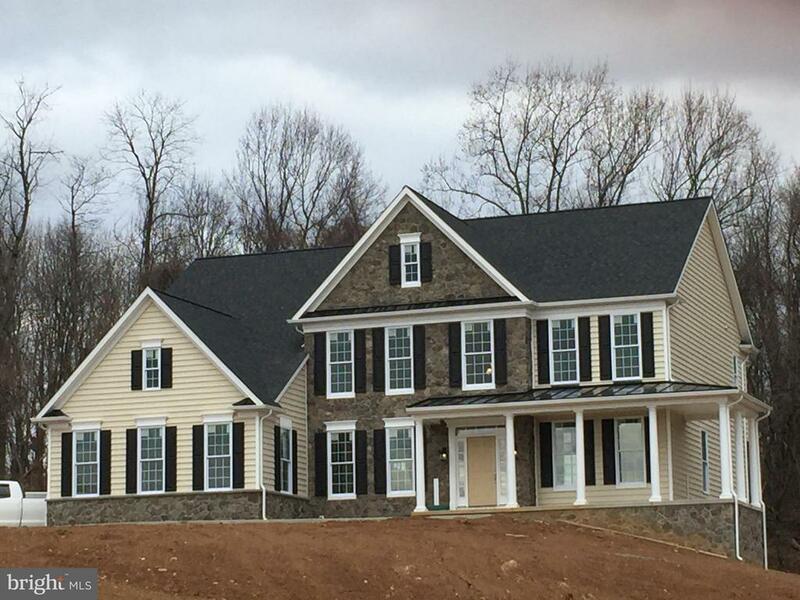 This gorgeous NEW home features a partial stone front, spacious porch & a 3-car side load garage. 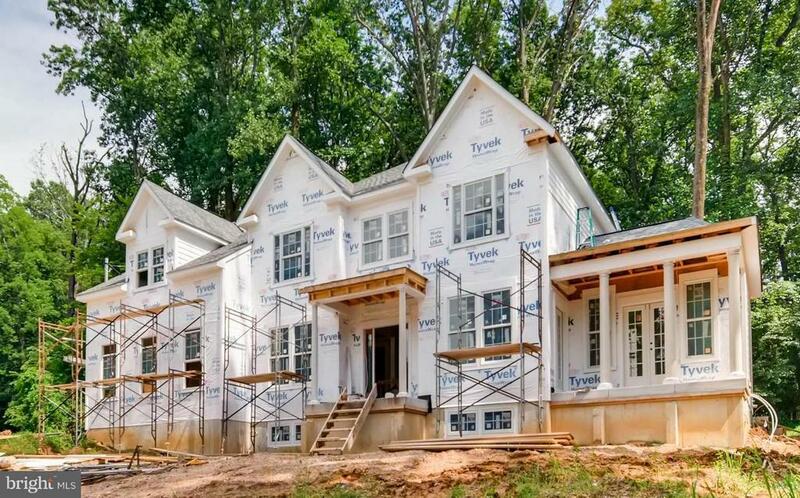 Interior features include gourmet Kitchen, Morning Room, Side Conservatory, Mud Room with built-ins, Family Room with coffered ceiling and stone fireplace, elegant Master Suite w/ luxurious soaking tub plus 4 additional Bedrooms for a total of 5. Spacious finished lower level w/ wet Bar, entertainment area & workout room." "OPEN HOUSE Sunday April 14th from 12:00 pm to 2:00 pm! 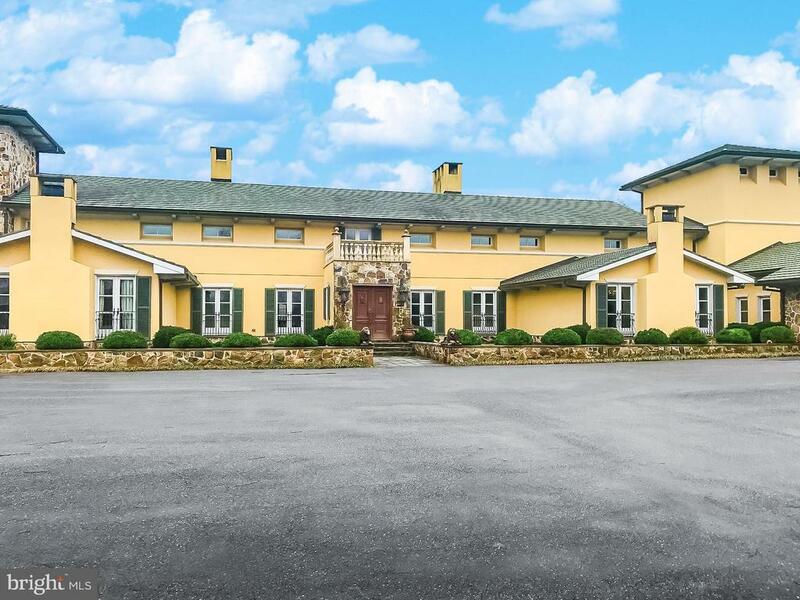 Spectacular Charles H. Richter Contemporary Estate on 7+ acres in Tufton Farms. This One of a Kind Design Boasts Soaring 19 ft floor to Ceiling Windows in the Great Room overlooking the Secluded Wooded Setting. Stunning Custom Kitchen with Large Island, Sub Zero Refrigerator and Freezer, Wall of Windows with View of Heated In-Ground Pool. Wood Burning Fireplace in Family Room opens to Kitchen. Private Master Suite with Fireplace, His and Her Baths, Sitting Area with Stunning View. Custom Cabinetry, Millwork, Furniture and Lighting Throughout. A Rare Offering of an Architectural Masterpiece." 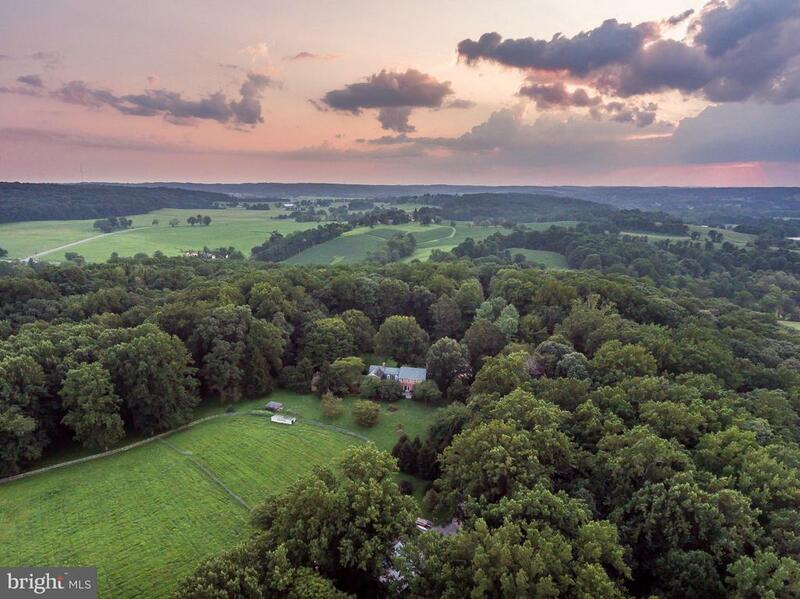 "Iconic mantua mill setting with majestic views of Worthington Valley to the north, rolling farmland to the east and private woodlands with stream and hiking trails to the south. Classic well built brick house with guest house, barn & fenced pasture. contiguous 5 +/- acres available with 2 densities. Adjacent to celebrated Hunt Cup course. A rare find. 5 minutes to Wegmans." "Price Improvement on this Stunning Custom Built Home bordered by Scenic Liberty Reservoir. Perfect time to buy to enjoy Summer by the Pool! Home is Immersed in Natural light. Santos Mahogany floors throughout Main level. Chef's Kitchen, Pantry ,Great Room w Wall of Windows , 2 Stacked Stone Fireplaces. 8 Ft Doors throughout. Whole House Audio Interior & Exterior. Luxe Master Suite w Amazing Master Bath, Balcony, WetBar, 10'X30 Walk in Closet w Built-ins, 2 Islands, Washer & Dryer. All Bedrooms EnSuite w 2 Bedrooms sharing a Jack n Jill Bath. Fully Finished Walk out Lower Level w Travertine and Brazilian Cherry Flooring, Media Room, Gym, Steam Shower, Full Bar, 2nd Kitchen. 4 Plus Car Garage . Outdoor Paradise with a 20'x40' Heated Saltwater Sports Pool, w Baja Shelf to Chill on. Peaceful Patios,Balcony off Master, Porches w endless views." 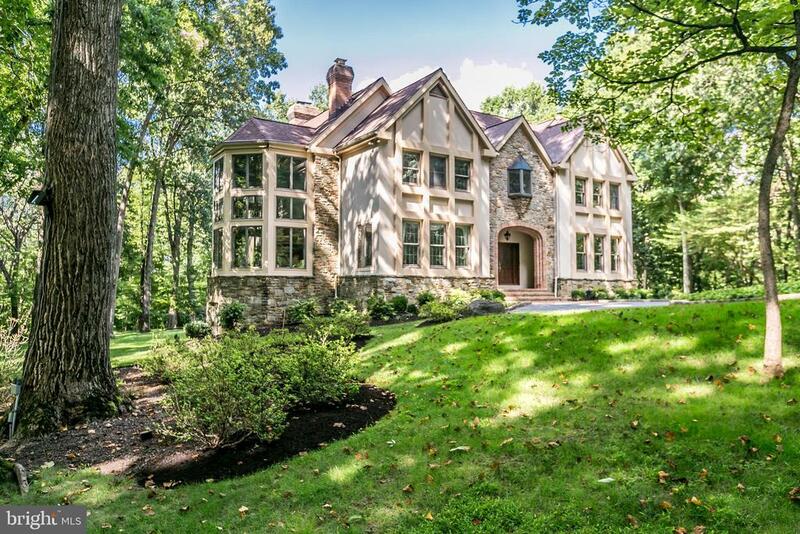 "Perfectly situated and exquisitely landscaped, this incomparable English Manor home on more than nine serene acres provides elegance and grace matched with modern convenience to create living spaces that fit today~s lifestyle. Refined principal rooms create a spectacular venue for entertaining, and transition seamlessly to cozy living spaces. Abundant windows allow sunshine and unparalleled views of the surrounding vistas from every room. The residence is outfitted with a spacious gourmet kitchen that is truly the heart of the home, master retreat with new state-of the-art master bath, second wing with three bedrooms and two full baths, a fully finished lower level with a large wine cellar, and an expansive recreation room. The timeless appeal of the home is enriched by the hand-painted gilded ceilings, rich hardwood and marble flooring, and three fireplaces. Additional space for entertaining and relaxing is found with the indoor and outdoor porches, and expansive deck. Every inch of this remarkable home exudes delight via its welcoming flow, well-proportioned spaces and warm glow. Enjoy the privacy and tranquility of nature, yet just minutes to Hunt Valley Towne Center, Wegmans, and Misty Valley Farm Fresh Produce." "Extraordinary Home Boasting Over 8,000 Finished Sq. Ft. Incl. 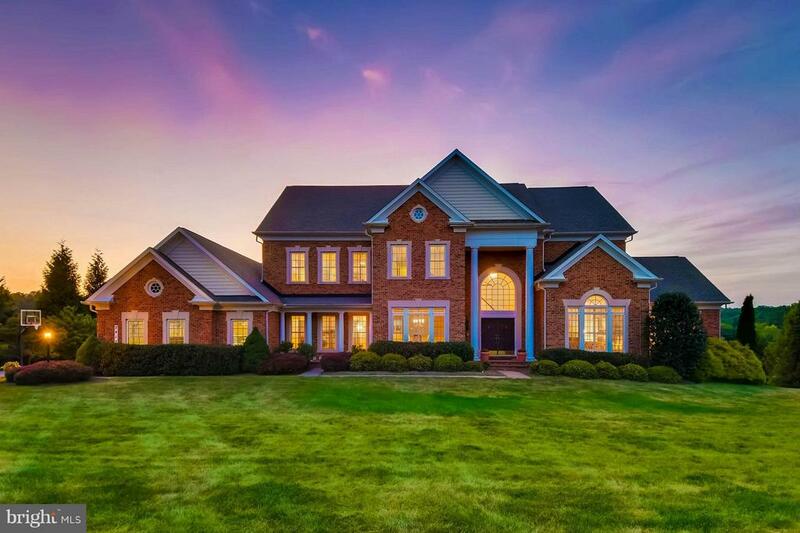 2-Story Foyer, Chef's Kitchen, Library/Office, Sun Rm & Huge Separate Dining Rm, Family Rm w/Floor to Ceiling Stone FP, Built-Ins & Beautiful Coffered Ceiling. Luxurious MBR Ste w/Sitting Rm & Spa Bath, Spacious Bdrms Each w/En-Suite Bath. LL Offers Theater, Wet Bar, Gym, 2 Rec Rms, BR & 2 BAs. Deck Overlooking Premier Picturesque Lot!" "UNDER CONSTRUCTION, ESTIMATED SPRING 2019 DELIVERY. Beautiful 5,500+/- sq ft Custom Home in Chestnut Woods. Built by Greenspring Custom Homes, this elegant home features top of the line finishes & open flr pln. Gourmet kit w/ island & morning rm. Large fr w/ fp. 2 stry foyer & family room. Bright study located off living room w/ porch. Master suite w/ deck & luxurious ba. Fin LL with wet bar. Upgraded landscape package including rear patio. 3 car garage." "Nature lover? This perfectly placed retreat is strategically situated on 2 acres at the end of a private road , and backs up to The Liberty Reservoir. which boasts 1900 acres of nature trails and so much more. Appreciate the beauty of the country while enjoying easy access to the charm of the city. The home is loaded with numerous amenities ranging from a sophisticated security system to a heated indoor pool, hot tubs, two grand staircases, private executive office, 5 bedrooms, 6 baths, etc. It lends itself naturally to entertaining friends, familly, or business associates. Lower level is enormous and versatile with possibilities galore including, guest suite, in-law quarters. theater room, game room, fitness center, etc. This gorgeous home stands out from the rest. It even includes a highly valuable and unique underground nuclear bunker. This home is Inviting, inspiring, entertaining, comforting, and prestigious. Welcome Home! Liberal financing options available." "Mooreland Farm. Pristine equine center with a state of the art indoor arena. Hyper functional layout designed by a visionary equestrian. 18 stalls between 3 barns, chic tractor shed turned office & old rustic farmhouse circa 1876 currently being renovated. 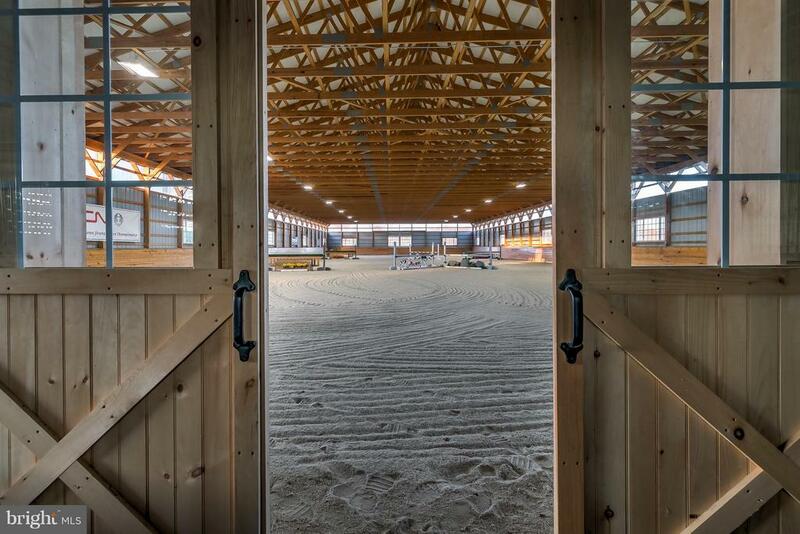 Indoor arena 195x85 is attached to the arena barn with five 11x14 stalls, and 10x14 wash stall and 10x24 tack room. The bank barn has four 11x16 stalls and the top barn has eight 10x12 stalls, a 10x12 wash stall and a 16x24 tack room. Outdoor riding ring and access to great trail riding through the woods at rear of property. Truly turn key operation. Connected to Greenspring hunt country. A rare find minutes to Wegmans." 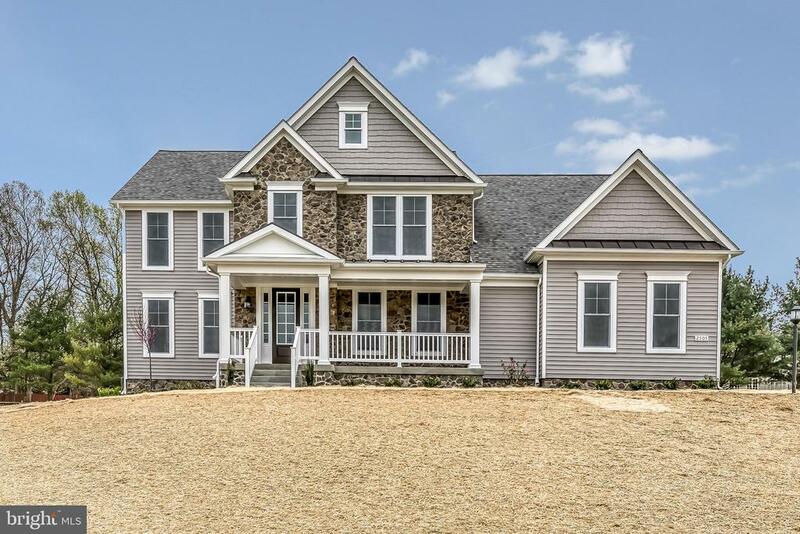 "Stunning 4 Bedroom 3.5 bath brand new construction, The Landon, by Catonsville Homes in the Deer Meadow Community located close to the Greenspring Valley area. Enjoy the gourmet kitchen with 5 burner stove, double oven, granite counters and island with built-in microwave and breakfast bar! First level open floor plan boasts hardwood floors and an abundance of natural light. 9+ ceilings on main and upper level enhance the open space. Master Bedroom contains sitting room with access to hallway landing and Master bath with double sink vanity and dual shower heads. Convenient to Baltimore, Foundry Row and Hunt Valley shopping and restaurants, and many of Baltimore County~s finest private schools." "Absolutely immaculate colonial in a prime location, just a short drive to everything you need! Only 7 miles from 695 and only 3 miles from 83. Featuring a large and open floorplan, you'll find gleaming hardwood floors, inviting gourmet kitchen with island perfectly situated for entertaining, inviting gas fireplace and sitting room, and formal dining and living rooms! 4 large bedrooms on second level and 1 in basement with separate full bath, you will never be lacking in space to spread out. Lower level gym, media room and additional half bath. Garage offers 14ft ceilings, shop lighting and oversized doors for the car enthusiast or hobbyist, with extended driveway and extra parking!" 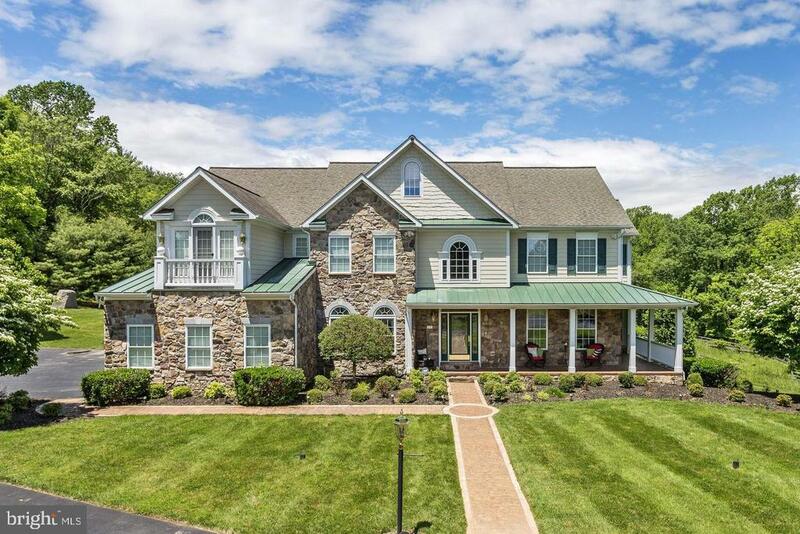 "This extraordinary custom designed stone and siding center hall colonial located in the coveted Beaverbrook development offers a total of 7 bedrooms, 5 full baths, and 1 half bath. The home is situated in a cul-de-sac on a manicured 1.6 acre lot with gorgeous plantings in the coveted Beaverbrook community. The home features exceptions living spaces on three levels. The main level includes a dramatic two-story marble floored foyer, an inviting living room and formal dining room great for entertaining. The impressive gourmet kitchen is equipped with professional stainless steel appliances, granite counters, wood cabinetry, a large center island with breakfast bar. The charming family room with gas fireplace adjoins the kitchen, a breakfast area, and an office/den. The atrium doors from the kitchen/family room provide access to the lovely rear patio with fire pit and gas line. The mud room and half bath are accessed from the 3 car garage. Additional enhancements include: 9~ ceilings, marble foyer, tray ceilings, and crown moldings. The second level consists of a spacious en-suite master bedroom and spa like bath with soaking jetted tub, steam shower, separate vanities, and walk-in closets. 4 additional bedrooms and 3 additional baths, and the laundry room complete the second level. The lower level has been finished to create an au-pair suite complete with a kitchen, 2 bedrooms, living/dining area, full bath and a walkout to the exterior." "Beautiful Estate Home situated on over an acre. This 4 bedroom 4.5 bathroom home features a 3 car garage with a lift and plenty of work space, granite countertops, walk in closets, a huge extended deck, a backup generator, plenty of living space, a dual heating system to include a gas heating system for the first floor and a heat pump system for the second floor. The family room is wired for a theater with a gas fireplace. There is also a study room located on the first floor and half bathroom. There are two master bathrooms and much, much more. The garage has a separate 200 amp electrical service and separate garage door openers." "This Jaw Dropping Gorgeous Property offers 2 Level Living at its Finest! Uniquely Designed with Elegance, this Luxury Home has all the Bells & Whistles! Investor spared no expense in renovating property from the ground up, paying careful attention to the details when creating this Masterpiece! Property features Open Floor Plan designed with 2 Main Level Master Bedrooms with Private Bathrooms! Gourmet Kitchen, Walk-in Pantry, Hard Wood Flooring, Granite Countertops in Kitchen and all Bathrooms, 2 Story Stacked Stone Fireplace, 3 Car Garage with Entry into Mudroom with Granite Countertop & Cabinetry, along with Spacious 2nd Level Master Suite that is Prewired with Surround Sound, Sitting Area and Tray Ceiling, and much much more! All situated on a Partially Wood Lot with Potential Re-subdivision of 2 Additional Out-lots, totaling 1.9 Acres WITHOUT HOA, conveniently located within close proximity to major commuter access points"
"Catonsville Homes presents the Devonshire, located in Deer Meadow, a community of 17 spacious 1 + acre home sites located in Reisterstown. This beautiful flexible plan features a partial stone front & 3-car side load garage. Interior features include a gourmet kit w/ granite counters, sunlit Morning Rm, spacious Family Rm w/ gas fireplace, 1st or 2nd level Laundry Rm & an elegant Master BR suite." "Fabulous in Falls Estates! Over 4800 sq feet (above grade) of living space in this beautiful home. The floorplan welcomes large gatherings and lots of space to spread out. Welcome visitors into your two story foyer that floods the area with natural light.Prepare wonderful meals in your spacious kitchen with a large island for breakfasting or hanging out. Have informal meals at your kitchen table overlooking the spectacular back yard or use your separate dining room for a more formal experience. You will love the openness of the kitchen/family room. Cozy up to the wood burning fireplace on chilly nights. Spectacular great room off family room is the perfect gathering spot for large parties. Glass doors and windows frame the view onto the patios and in ground pool. Entertaining is a summer dream in the rear fenced, private back yard. Multiple hardscaped areas include a fire pit and hot tub. Some of the other features of this wonderful home include, updated bathrooms with granite counters and soaking tubs, steam shower in master bedroom, first floor bedroom with a murphy bed and adjoining bathroom. Zoned heating and air and two water heaters." 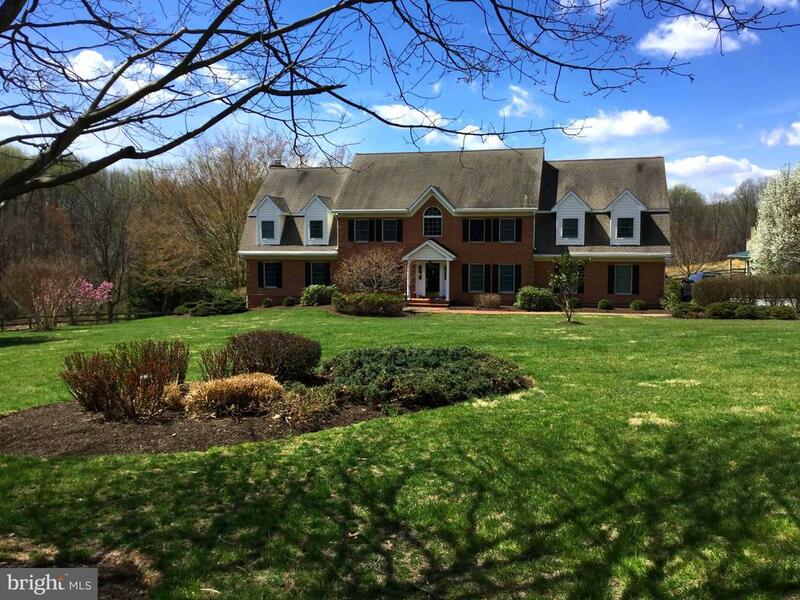 "Absolutely gorgeous Manhattan style colonial located in Reisterstown. This home features a large, open floorpan with beautiful hardwood floors. The spaceous gourmet kitchen features granite countertopsand antique white cabinets with under cabinet lighting. A large island perfectly situated for entertaining and family gatherings. A double wall oven and stainless steel appliances finish off this beautiful space. The first floor also has a family room with a gas fireplace and a formal dining room and living room The morning room is just off the kitchen with a dual staircase to the upper level with 4 bedrooms, 3 baths and a second floor laundry room. The master suite has a sitting area with a large separate shower and an enormous master closet. The finished lower level has plenty of space to spread out with an enormous living room, excersize room, bedroom, and full bath." "OPEN SATURDAY 4/13 12-2! 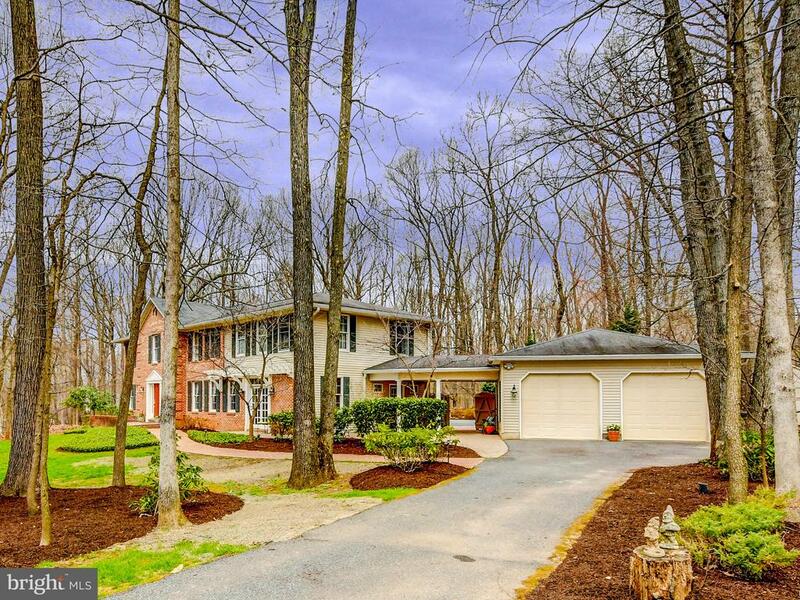 STATELY AND ELEGANT COLONIAL SITUATED ON A GORGEOUS 5 ACRE LOT.MANY UPDATES INCLUDING NEW GOURMET KITCHEN WITH UPGRADED CABINETS,GRANITE COUNTERS,KITCHENAID APPLIANCES,ALL NEW MASTER BATH AND ALL OTHER BATHS UPDATED,NEW CARPET THROUGHOUT ,NEWER HEAT PUMPS. STUNNING IN LAW/AU PAIR SUITE,18' X 36' POOL WITH UPDATED SYSTEMS.NEW 85' COMPOSITE DECK AND RAILINGS. FULLY FENCED PROPERTY.PERFECTION!!"